While Paris is famous for the Louvre & the Eifel Tower, it also has a world-class metro system featuring 300 stations & 16 lines, covering 10×10km of central Paris. What is not accessible by metro, is serviced by bus or bicycle – including Paris’s Velib bike-sharing system, with 200,000 bicycles & 1800 docking stations. There is simply no reason to own a car in Paris... Despite the assumed freedom of the car, I prefer hoping on & off the bus, metro or train & continuing by foot or bicycle. Whatever I explore, it is entirely my own, based on my own two feet – the ultimate version of freedom. 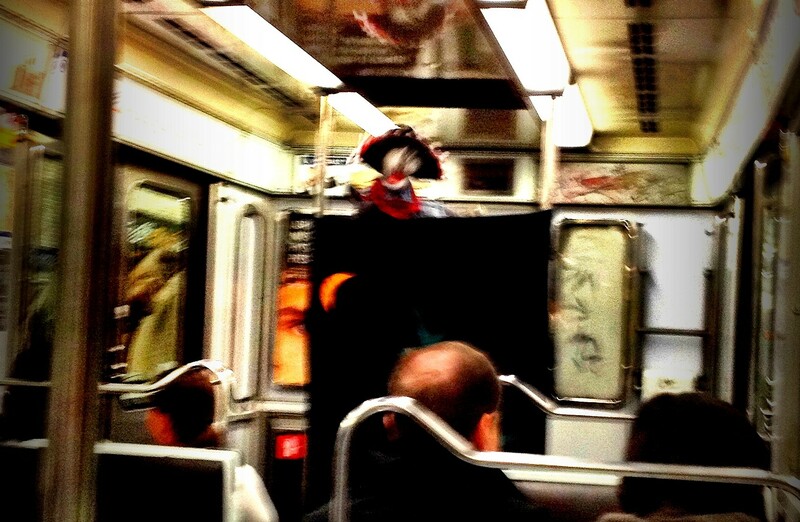 And, you never know what you will stumble upon… Public transport also has an entertainment factor. 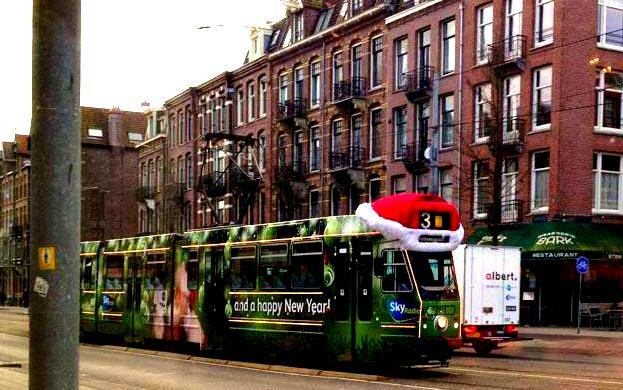 This includes buses & trams dressing themselves up for the holidays in Amsterdam; puppet show performances on the metro in Brussels, Barcelona or Paris; “No Pants Day” on the New York City subway – now 12 years running; or the opportunity to enjoy a draft beer on the train to Berlin or Geneva – never having to worry about a DD (designated driver) when taking the bus, train or metro. My favorite feature of the metro/ subway station though, is the musical performances one can encounter: sometimes by professionals (such as world-famous violinist Joshua Bell who played for 45 minutes as part of a social experiment in the Washington DC metro), sometimes by amateurs, sometimes by a single musician or an entire orchestra. When I have time, I stop and listen… I don’t recall ever having a live band perform in any car in which I have ridden. This gypsy band in the Paris Metro was one of the best performances I have seen – and confirms my appreciation for the surprise encounters of public transport. I’m certainly very happy to have come across this article . Impressive walk-through. I appreciate this post. Of course there’s nothing I can say against our awesome network, there’s always a station around the corner, it’s so convenient that i still cannot understand why people drive. However i can tell you that on an everyday basis, finding a nice band to listen to or show to watch is fairly rare. Musicians are normally auditioned and selected to be allowed to play, these guys are generally great. The rest are pretty annoying, especially when you end up with 2-3 “performances” on an hour-long journey. Not even talking about the smell, the dirt, and the fact that most of the stations are not family/baby/handicap-friendly with these long corridors and high staircases. But well, Paris without a metro would not be Paris! Regarding the smells: I was just in Bonn & a friend commented on the ‘metro smell.’ It’s true, most metros have a strange mix of old urine and stale air (some worse than others)… and the older the metro, the more interesting it becomes! Else wise, I completely agree with regards to the lack of handicap/ family/ baby facilities of the metro system. Of course this is not distinct to Paris, but many old metro stations: London, New York, etc. The newer metros seem to be a lot better on these issues (Seoul, Malmö…) so I guess here at least, society is progressing! 🙂 How are such facilities in Dubai? Very good points! Thanks for bringing them up!